In a season of 52 episodes, there are bound to be a few clunkers, and “James” definitely falls on the low end of Adventure Time’s fifth season. The episode begins with a lot of promise, as it shows Finn and Jake dressed in black suits, mourning recent events that have yet to be detailed, and that moody start is the high point of a story that lacks a strong hook. Finn and Jake are grieving over the loss of the titular character—a vanilla wafer sandwich that joins them on an expedition with Princess Bubblegum across the desert ruins of a city seemingly destroyed during the Great Mushroom War—but the episode doesn’t provide many reasons for the audience to be invested in James’ sacrifice. Despite the brief glimpses into this show’s mythology, “James” feels like an early Adventure Time episode, introducing a new character whose main purpose is to serve the moral of the story. James (voiced by Andy Merrill, best known as the voice of Brak on Space Ghost Coast To Coast and The Brak Show) is an oddball whose strange behavior initially irritates Finn and Jake, but they hold out hope that his personality will eventually become charming once they get to know him. They quickly learn that is not the case. James is just an obnoxious person. He likes to make hydraulic sounds when he moves his body; he’s easily excitable; he thinks that problems can be solved with just his lucky coin; and he doesn’t respect the privacy of others when they huddle up to talk about him behind his back. 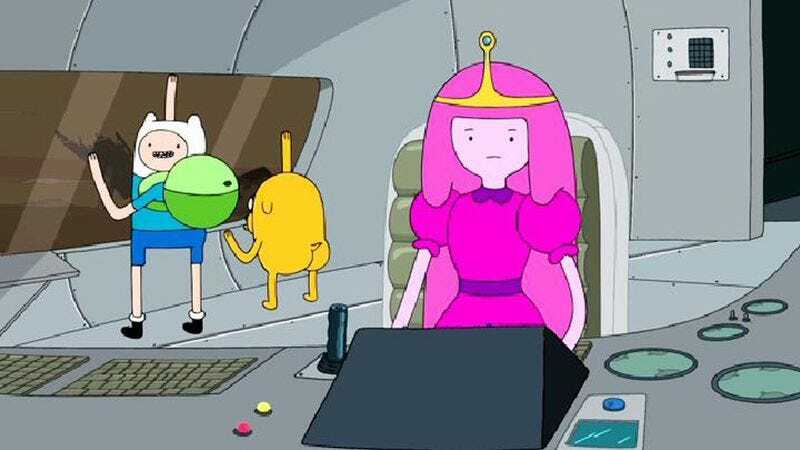 There’s a strong survival-horror influence to this episode, which finds Princess Bubblegum and her crew stuck in a canyon surrounded by Toxic Creatures From Another Time that vomit radioactive goo. Those initial scenes of the group exploring new territory, discovering a hidden threat, and then being grounded by the enemy give off an Alien vibe, and it would have been nice to see the episode retain a more atmospheric tone throughout. Instead, it becomes more lighthearted as James’ goofy personality takes precedence. My main issue with this week’s episode is that it’s just not very entertaining. 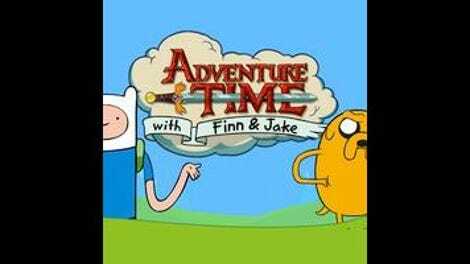 Usually, Adventure Time is good for at least a couple laugh-out-loud lines, but “James” only got one small giggle out of me, when Jake shows Finn his “cuckoo face,” and even that laugh is mostly due to visual of Jake with a beak. Finn, Jake, PB, and James trapped in their ship doesn’t translate to a riveting story, as most of the episode is spent discussing how they’re going to get out. This show isn’t called Stand Around And Debate Time, and it feels like a missed opportunity to have Finn and Jake beat the green goo out of some radioactive monsters. The ending of the episode suggests that opportunity still exists—James’ original body, now morphed into a Toxic Creature, crawls out of the canyon followed by his monstrous brethren—but the lead-up to that moment is remarkably flat. It will be pretty cool if this is the start of a Toxic Creature invasion, but “James” isn’t very captivating as a standalone story. Finn and Jake are going to be a balloon in the Macy’s Thanksgiving Day Parade. That’s pretty cool.